Dennis buys TRUCKS for cash and he makes it E-Z! NO TITLE - EXPIRED REGISTRATION OK! WE ARE LOCAL, CASH FOR YOUR CAR TODAY! fast cash for TRUCKS! No WEASELS! Dennis pays CASH for Toyota Tacoma, Toyota Tundra, 4Runner, Highlander, Ford F150, Ford F250, Ford Ranger, Explorer, Escape, Cadillac Escalade, Chevrolet 1500, 2500, Suburban, Dodge Ram, Nissan Frontier... all kinds of Trucks and SUVs. Stop dealing with WEASELS who torture you on the phone over price, get personal information from you like your home address, cell phone #s, etc. and pretend they want your TRUCK and then never even show up. Believe me, we know that selling your Truck privately can be a pain in the neck!! WE TAKE CARE OF EVERYTHING. DMV. Smog. Everything. We pay the HIGHEST PRICES for used cars, trucks, vans, SUVs, clunkers to high end, late models to classics, econo-boxes to muscle cars! Right Now! We are a licensed and bonded California Dealer and will professionally handle all DMV work for YOU! Cash For TRUCKS! FAST! EASY! You can bring your truck or SUV to our convenient location at the crossroads of Los Angeles, Culver City and Beverly Hills on Venice Boulevard, right off the 10 freeway at Robertson, where mid-city meets the westside (see map, right). We can even drive you home if you want, providing you don't live in Connecticut! Hassle free, friendly, transactions. Promise. WHY SELL YOUR TRUCK Van or SUV TO US? We are local, right here in Los Angeles. We are an established "Brick and Mortar" location with real people, real plants and real dogs that have been at the same location for five years. We are not a reseller of leads and we do not sell or forward your contact information or your vehicle information to anyone. fast cash for your car! freeway close! 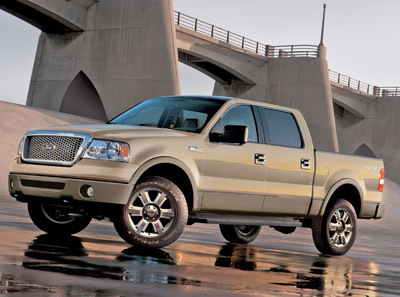 Want more cash for your used TRUCK pickup Van SUV?